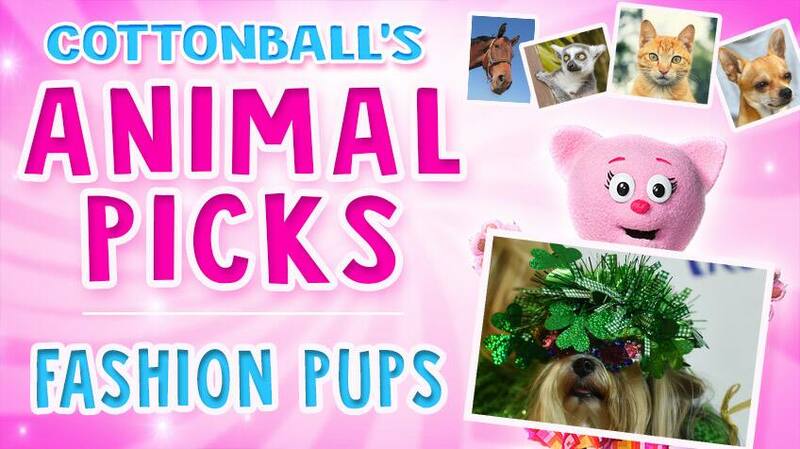 Did you know that there's a special fashion show for pets? 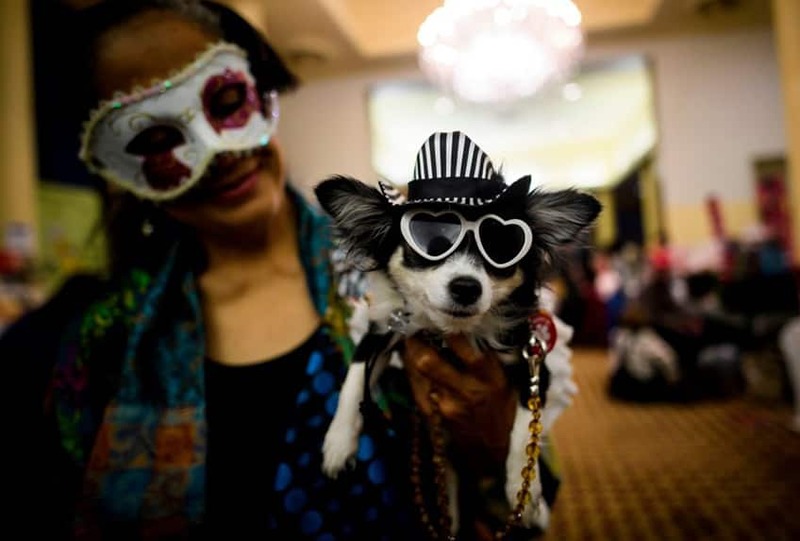 Every February in New York City, pets from all over the world come to compete in the New York Pet Fashion Show and help find homes for rescue dogs. 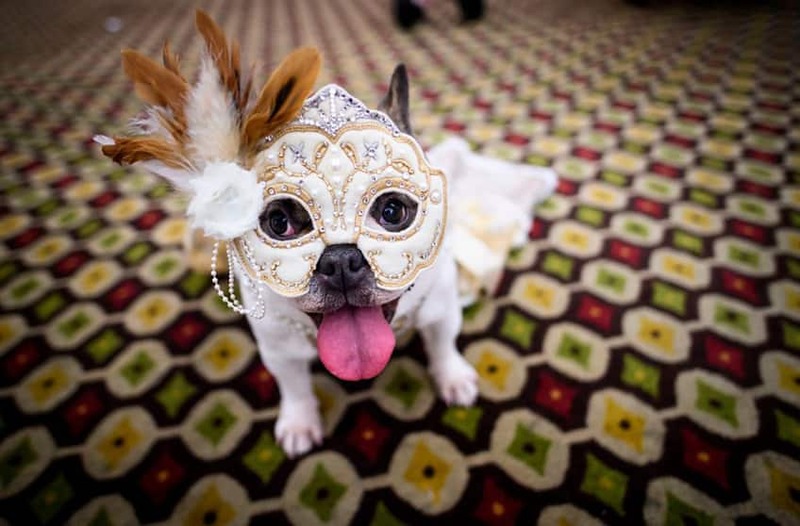 The theme for 2019 was "Masquerade Ball for Animal Rescue." 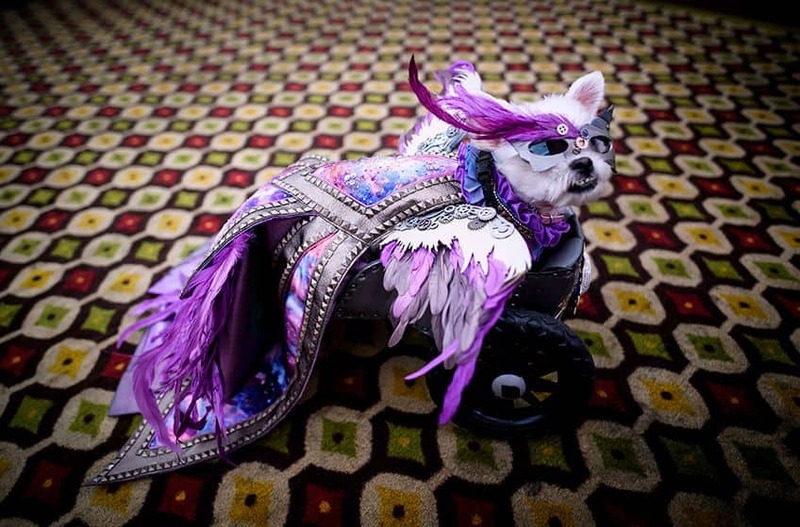 Looking like a superhero in purple, this little pup waits backstage at the 2019 New York Pet Fashion Show. A bulldog pup all dressed up in his best Mardi Gras mask waits backstage at the 2019 New York Pet Fashion Show. 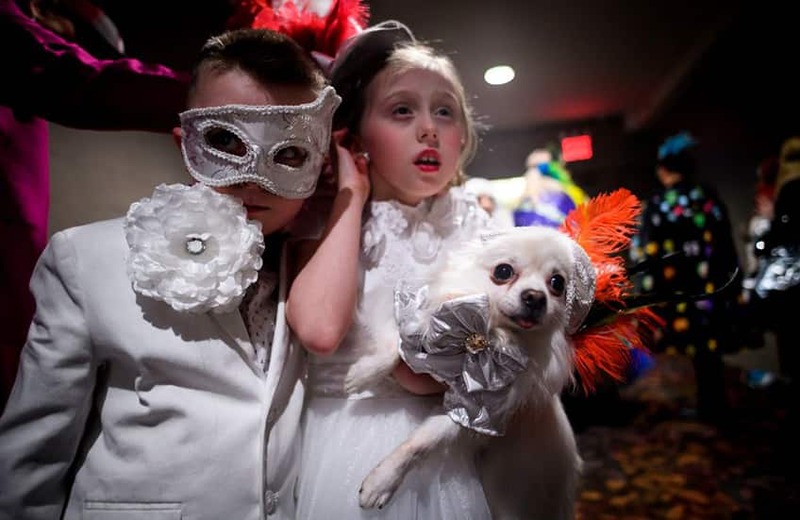 Two children hold their dog, dressed up for the 2019 New York Pet Fashion Show. 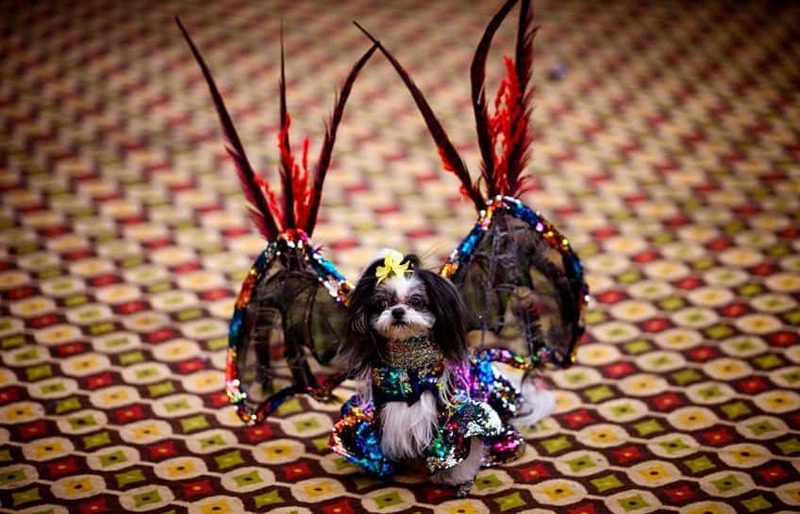 It's a dragon, it's a bat... no, it's just a super cute pup all dressed up for the 2019 New York Pet Fashion Show. 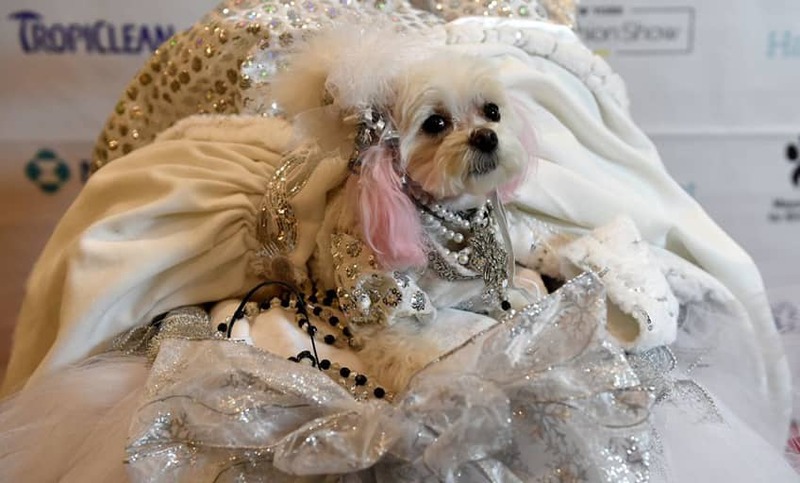 All dressed up, this super cool little pup waits backstage at the 2019 New York Pet Fashion Show. Little ZZ represents Russia in the World Fashion event at the 2017 New York Pet Fashion Show. 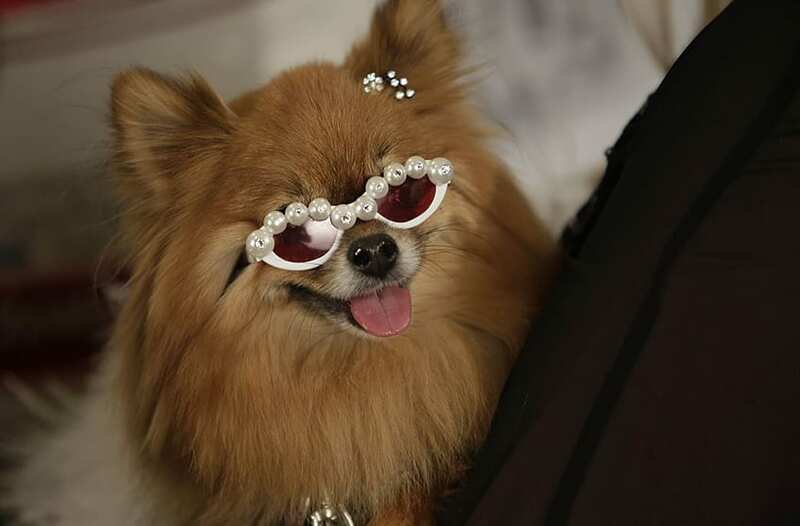 It's all sparkle and sunglasses backstage at the 2015 New York Pet Fashion Show. 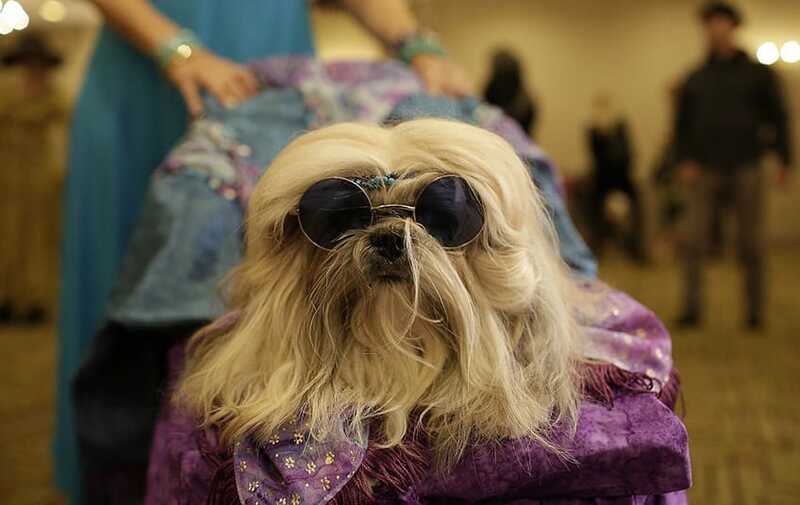 A Shih Tzu dog named Giannan rests up backstage during the 2015 New York Pet Fashion Show. 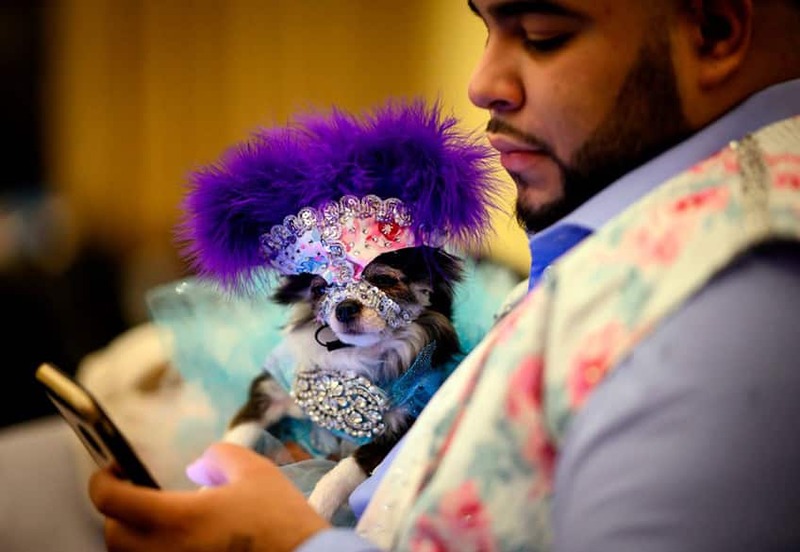 A little pup checks out his social media feed on his owner's phone backstage at the 2019 New York Pet Fashion Show. 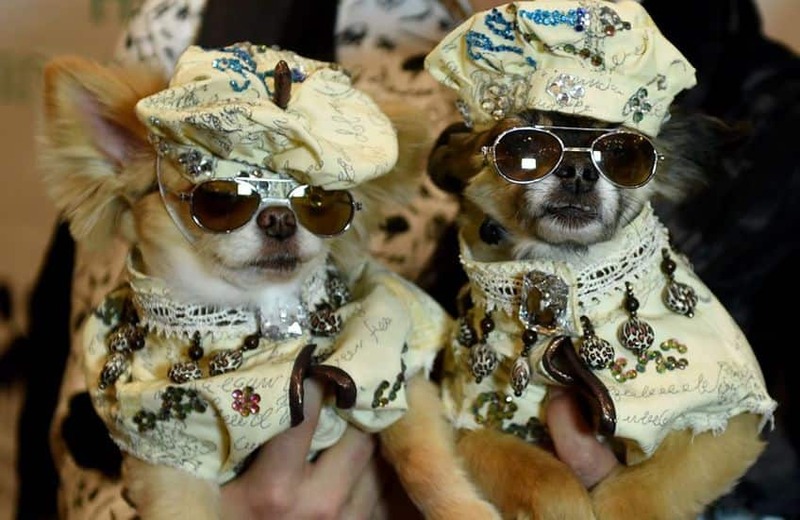 Two twin puppies dressed in the fashion of France are contestants in the World Fashion segment of the 2017 New York Pet Fashion Show. These little pups are totally into football! They’re green and they jump — they’re frogs!